Remember how I was excited to dedicate one hour a day sewing clothing for my children? I had big plans for KCWC, I tell ya! It started out slowly, and then fizzled from there. 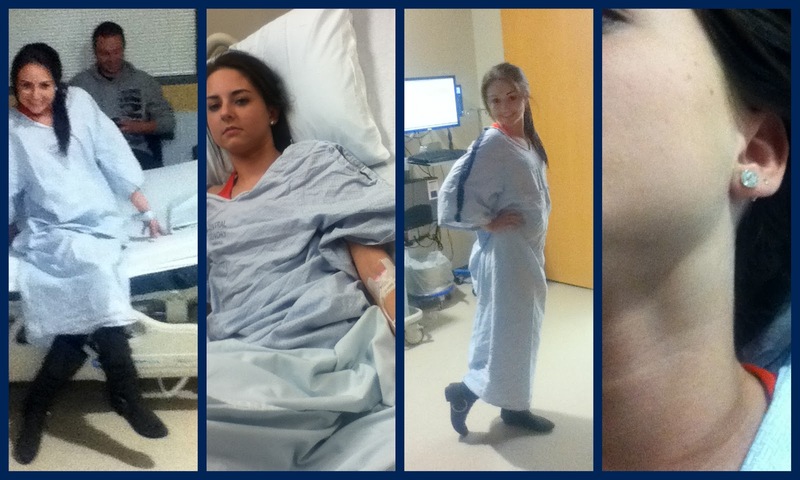 In my 18 years of being a mom I have had only one visit to the Emergency Room. This past week I was there twice in three days! On Saturday or Sunday Devin had what appeared to be 2 bug bites on his wrist. I replaced a bandaid on it a couple of times because it was bothering him. On Tuesday his bandaid fell off and he came to me saying, "Look mom! There's green stuff coming out of my arm!" I knew that wasn't good but I thought I would just clean it, put neopsporin on and slap on another bandaid. My man told me to take him to Instacare. I was certain they would look at me like I was ridiculous for being such a minor injury to them. But the Dr. quickly started talking about abscess, need to drain, joint damage, sedation, and children's hospital. Holy Cow! I had no idea it was that bad! I'm so grateful my man knew Devin should be seen. So, I picked up John, and we headed to the Children's Hospital. They took an X-Ray and thankfully we caught it early enough that there is no joint damage. 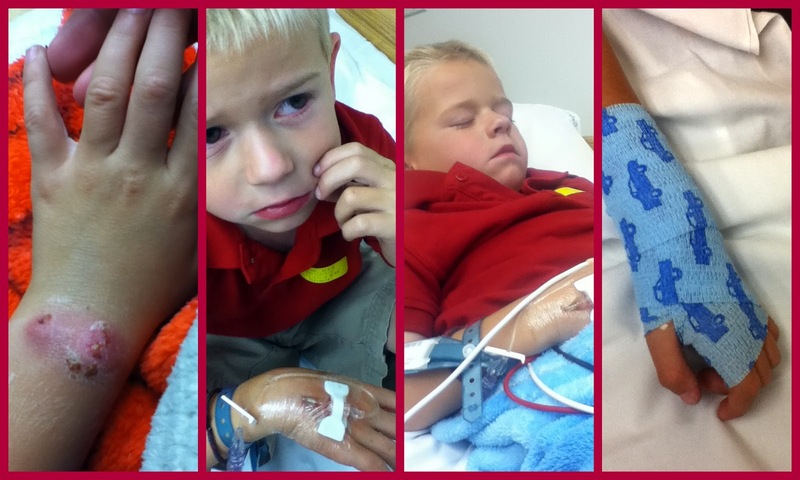 They sedated Devin with an IV, and the entire procedure took about 20 minutes. Watching as they drained his abscess I understood why they needed to sedate my little guy. It was brutal! We arrived home 2:30 AM on Weds. Needless to say, there wasn't any sewing going on. On Friday my oldest child, the only one that has ever been to the ER, noticed a bump on her throat. It was tender but not causing any major problems. Two hours later it was twice the size. I called on my kind neighbor, the neurologist, to see what he thought. He said because it was growing quickly and it was over a major artery he wanted her to go to the ER. His words were, "If she were a patient coming to my clinic I would send her down to ER immediately. And if it was my child I would already be on my way to the ER." He was afraid she could be having a stroke. Yikes! So I dragged my daughter off we to the ER. (she didn't want to go) They thought the same thing as the neurologist and got her into a CAT scan. Thankfully, it wasn't a stroke. Madison has an infection that is making her lymph nodes swell. Relief! We arrived home at 2:30 AM on Saturday. But that's okay! My children are healthy. There are only minor complications going on that can be cured through antibiotics. I am so grateful! I did manage to sew a couple of other things that I will post later. Agh! What a week! I'm glad it all turned out ok.
Yikes, when it rains, it pours! I'm glad nothing worse came of either of these things!